FRANK Sinatra's custom-designed California villa has gone on sale for $3.9 million. The 'New York, New York' singer - who passed away aged 82 in 1998 - lived in the property for over a decade in the 70s and is said to have used his private helicopter to fly guests in for parties with himself and the other members of the Rat Pack including Dean Martin, Sammy Davis, Jr, Peter Lawford and Joey Bishop. The stunning villa - which is now on the market for almost $4 million - is hidden in the mountains above California's Coachella Valley and boasts three bedrooms and six bathrooms in the main house as well a further three beds and five baths in the guest house. It also features a pool-house equipped with two saunas, a tennis court, fire pit, enough parking for 24 cars and a kitchen designed by Frank himself, who also helped to select fixtures and fittings for other rooms throughout the house. The 10-acre property was named Villa Maggio after Sinatra's character Angelo Maggio in the Oscar-winning 1953 film 'From Here To Eternity'. Construction on the luxury getaway began in 1967 but wasn't completed until 1970, when Sinatra went into temporary retirement. 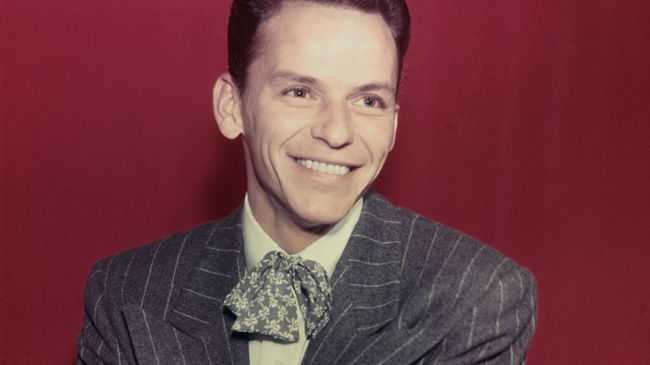 The 'My Way' crooner had a number of other retreats in locations including Manhattan and Palm Springs but lived at the villa on and off for 12 years while taking a break from his music career. He then donated the property to the Loyola Marymount University, who went on to sell it for $1.4 million 1989. It has since passed through the hands of a number of celebrities and is now listed as on the market by Beverly Hills' real estate agents Crosby Doe Associates.